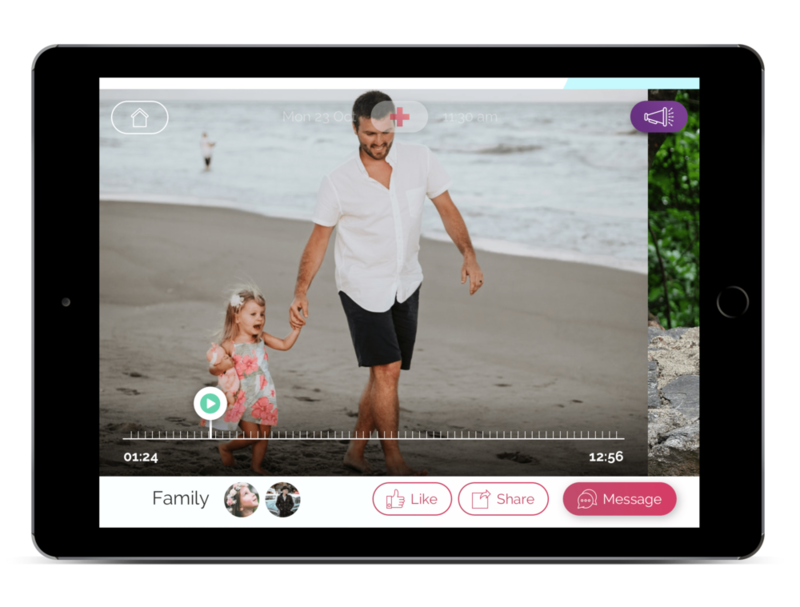 After set-up, rich-media streams into the app from family members, allowing photos and videos to be viewed without the need to sign in to multiple social-media accounts. Qolo allows the user to comment on anything they want, sending a message direct to whoever was tagged in the original file, or simply allowing Likes and Shares from the platform. For those moments when communicating exactly what’s happening to them can be frustrating, Qolo offers quick access to a range of cue cards to help get their point across. If the user needs to say something more complex, they can switch to the translate screen allowing them to type their message, text-to-speech or speech-to-text in their native language, then switch if the recipient speaks another language. Giving them personal choice is important, which is why Qolo acts as a media centre for movies, tv shows, music and games with a wide selection on offer. To encourage interaction with others, users can see what’s being played by those around them and join in, whether it’s a favourite movie or a round of cards.